Men’s jewelry is all about complimenting your outfit. Nowadays, it is an essential part of your wardrobe. From watches, cufflinks to necklaces and earrings, there is a vast variety of men’s jewelry. It can enhance your style and provide a perfect touch to your outfits. But it will come with the right amount of confidence and the way you wear it. Pieces of jewelry and diamonds are not associated with only women now. But, like women follow some guidelines while choosing a piece of jewelry, men also have to follow some rules. Here we present a guide that covers eight different types of men’s jewelry and the way to wear it. Earrings: For corporate working men, it is quite difficult to pull off earrings. These are always visible and can draw a lot of attention. But if you are interested and want to make it a part of your personality, wear small earrings with solid and dark colored gemstones or something in neutral color. There was a time when men used to wear an earring in one ear. But now, the trend has changed; men tend to wear them in pairs. Some wear simple studs, while others like to wear large, flashy jewels. Necklaces: Generally, men wear chains under their shirts, which are visible only a little to everyone. While wearing a necklace or a chain, keep the rest of the outfit in your mind. A gold or silver chain will look effortlessly good when paired with simple jeans and t-shirt. Keep the length and thickness of the chain medium and elegant. If you are more into casual don’t wear more than one piece, keep it classic and basic. Wear necklace according to the occasion and do consider your body type before purchasing one. Tie clips/tie bars: Being a fashion accessory, tie bars serve a purpose too. They keep the tie in place and stop it from getting out of place. These are horizontal clips that slide over the top of your tie and anchor down your t-shirt. Buy while using one; understand the proper placement and width. Place your tie bar between the third and fourth button and the proper width should be half the width of the tie. If you are working, choose a sophisticated and classic option for business trips and other events. You can also choose some fun tie bars or clips with a cool message or some pattern and still look professional. Just ensure that you select your color wisely and match it with your entire outfit. Bracelets: We have seen an increase in popularity of bracelets from the past few years. Men tend to wear bracelets on a regular basis whether it’s a party or a workplace. There are different varieties of bracelets for men such as leather, metal, beaded and cuffs. The most common bracelets men prefer to wear nowadays are gold bracelets. Though they reserve a great value and are a great daily wear accessory. There are different types of gold color with cuffs and chain designs. According to David Chapman from FrostNYC.com, a rose gold bracelet can transition seamlessly from day to night wear. Whether you are wearing a casual or a formal suit, you will never go wrong with a metal bracelet. But always keep in mind, your bracelet should be a compliment to your outfit and personality and not overpower it. Wear one bracelet at a time and try to match them with your watch or other metal you are already wearing. Watches: If someone is new to wearing jewelry, a watch is the best place to start. It is a very common men’s accessory. A watch is a symbol of status and has the power to elevate your outfit. Keep your watch proportional to your wrist size. Make sure that the watch fits you properly. From everyday watches to formal dressing, there are numerous of watch designs and models. Everyday watch: There are a lot of options in everyday watches that are popular since ages. Such is a leather strap, classic metal band stainless steel bands. But along with these, there are more options that show off your own style, for example, a large round face watches with fine details. Dressy watch: These watches are mostly reserved for your special occasion or events like a wedding or your first date. Though, simple is the new fashion. But, if you want to stand out go for a watch which is sophisticated and classic. Cufflinks: Cufflinks are generally designed to hold the cuffs in a place. They are most commonly worn with French cuff shirts. There is a thumb rule of wearing cufflinks, knots should be less dressy. Cufflinks are made up of different styles, which are available in the market, like closures, fixed, toggles and some double-sided. There are cufflinks which are sophisticated and stylish and go well with work-related events. 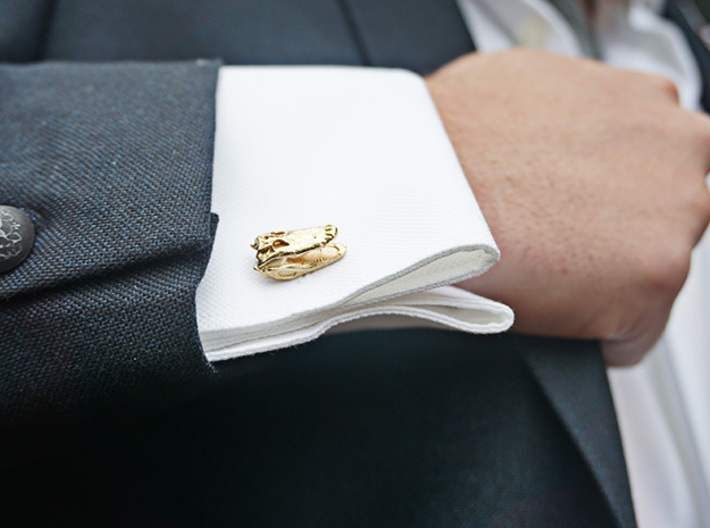 You can go for matte, gold or metallic cufflinks in square or circular shapes. Metal cufflinks made of pernicious material are more elegant and masculine at the same time. Be sure that your details are minor and avoid wearing gem-studded or unusual shape cufflinks. Rings: Rings are the most common ornament that men wear. Traditionally, they are wedding rings. If you are in a corporate environment, always wear one ring at a time. Wear a ring made of gold or sterling silver or something which has two colors. Try to keep it simple with minimum gemstones or glitz. But there is a certain way it should be worn and a style that suits your personality. If you want a bold look that matches your personality, try staked ring style. You can wear two or more rings of different designs and pattern on a single finger or you can spread and wear them on multiple fingers. If you know these things, you can create a look filled with swag and style. Overall, it takes a lot of confidence to wear men’s ring in such a way. Remember, if a piece of jewelry is worn properly, it can add a great compliment to your outfit and overall appearance. Always remember, less is classier.